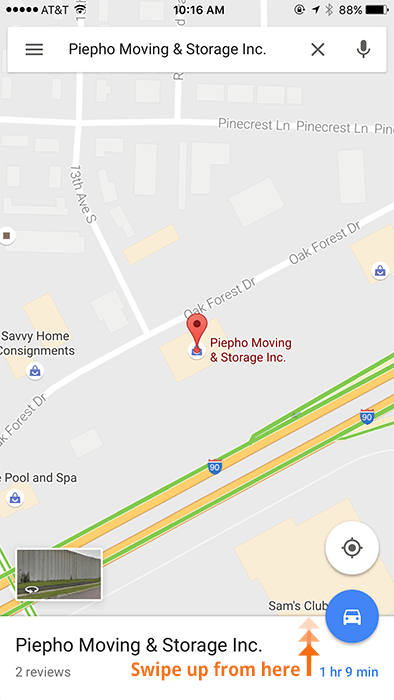 Open the Google Maps app, and search for "Piepho Moving & Storage Rochester MN". If you try one of these options and get a message that you need a Google account to proceed, here's how to do it: Click "Create Account". If you are on your smartphone click "More Options" and "Create New Account". 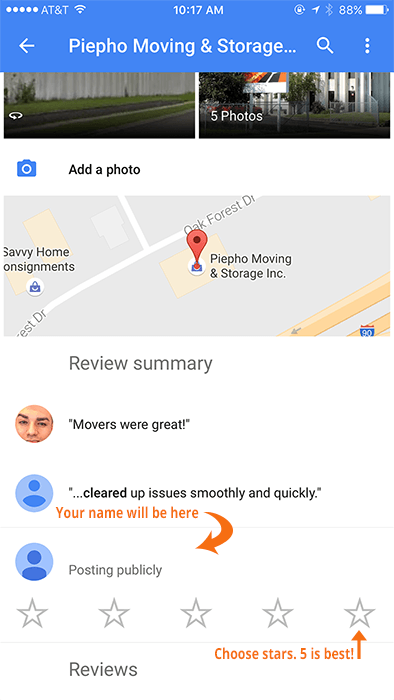 Once you've gone through the steps, which only take a few minutes, please leave your review.